Nut Shell and Kernel Separating Machines are used to separate kernels and shell of nuts, as a supporting equipment of cracking machines and sheller. It can be used in many nuts processing lines such as walnut, almond, and hazelnuts. 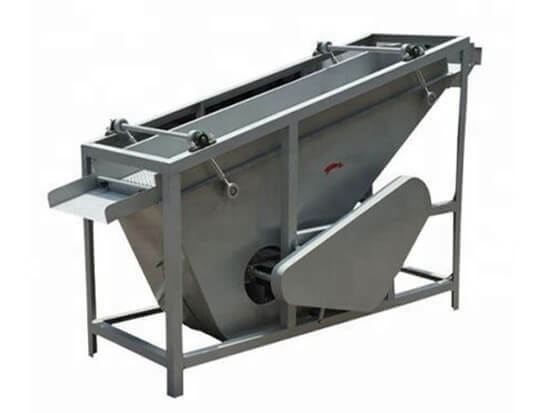 High separating rate and low broken rate make it a helpful machine in nut shelling equipment. 1. Taking advantage of different gravity of shell and kernel to separate. 2. High shelling rate, can reach over 98%. 3. Good quality, suitable for different nuts. 5. Reasonable design and low broken rate. Nut Shell and Kernel Separating Machines are mainly used to separate the shells and kernels of different nuts such as peanut, almond, hazelnut, cashew nut, chestnut and so on. Taking advantages of different gravity of kernels and shells, the nut shell and kernel separating machines can be used to separate nuts and shells with the help of airflow. 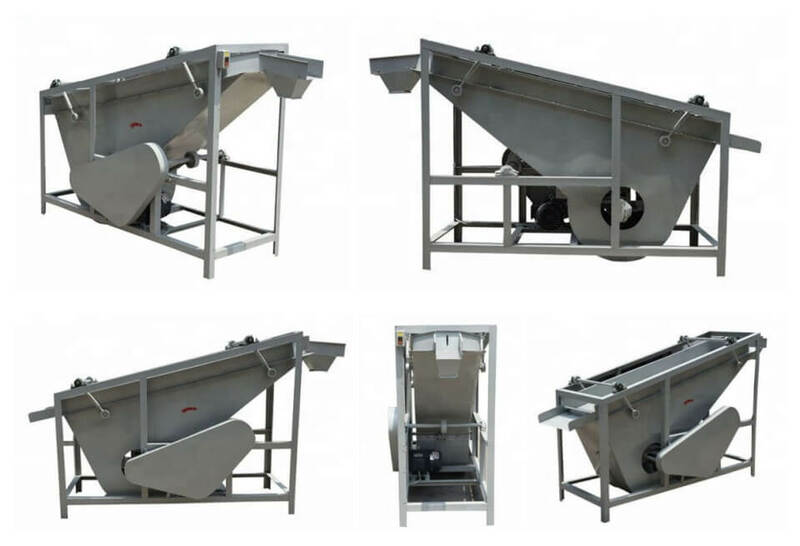 This separator is consist of the hopper, screen box, rack, eccentric driver, etc. Rubber bearing with characters of durability and damping effect, using where reciprocating motion happens. Please check the particles carefully before running. Please clean the separator after each use to remove dirt. Please check the data below carefully. According to your requirement, we’ll give our best service.